If you’ve been keeping up to date with local industry news – or hopefully this website – then you might have heard of a new local headphone brand called Timbre. The brand, pronounced as Tamber will be releasing their first model called the Gitara – aptly with a guitar-and-Philippine-flag-inspired design by Team Manila. The headphones comes in White or Black with a reasonably affordable pricetag of PHP 2,499 on December 15 at various shops – including Team Manila stores, The Sole Project, Wooden Canvas, Analog Soul, The A Shop, Wardrobe.ph, and Vinyl on Vinyl. To give you guys a sneak peek into the device, we were able to secure a review unit to test out. We’ll let you know what the verdict is on these, but for now, you can check out our video unboxing below! 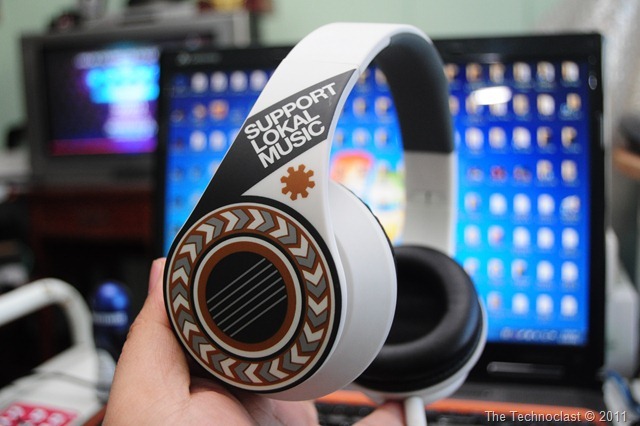 Alright, that’s about it for our video unboxing of the Timbre Gitara white headphones – keep us in your bookmarks and check back in a few to find out what we think of these affordable local brand cans! What’s the specs of this headset? what site? i can’t even see a thing from that link. can you please re-post it again? Are people in the U.S. going to be able to buy them too? And if so, how much will it be with shipping? Wait, are you even still selling them?